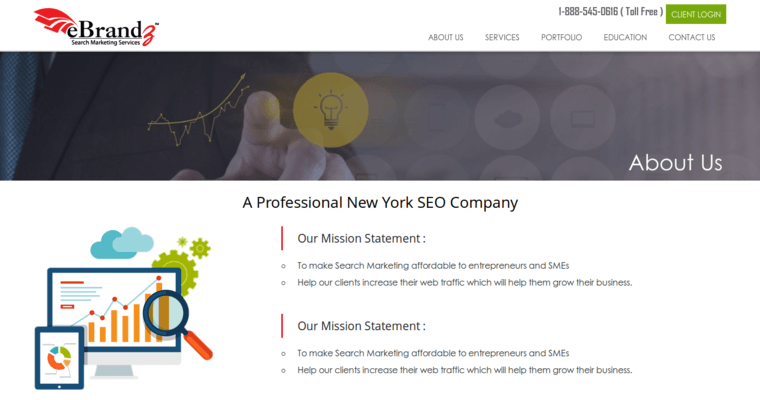 Coming out on top of things on search engines is not very easy, especially when single words or phrases of two to three words that are some of the most popular searches in the language your business operates in because there is so much competition from other companies out on the World Wide Web. Everybody wants to be on the front page of Google. Further, even more companies have a strong desire to be above the fold on the front of Google's search engine results page for dozens of keywords, longtail SEO strings, or phrases. 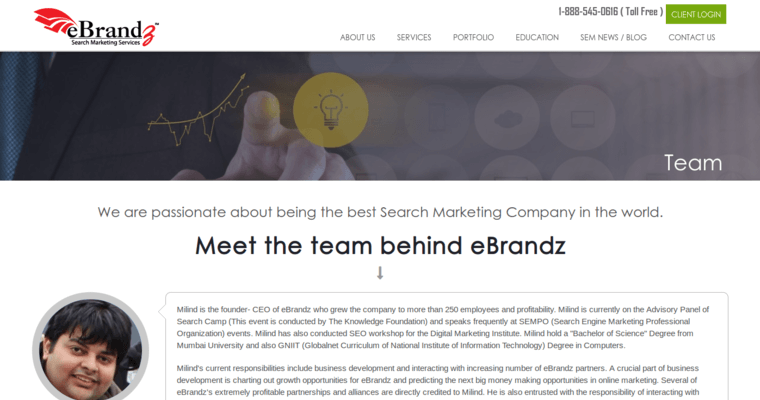 eBrandz does not specialize in a certain type of search engine optimization and provides all types that are known to mankind: local, national, Hispanic, multilingual, franchise, e-commerce, and plenty more. 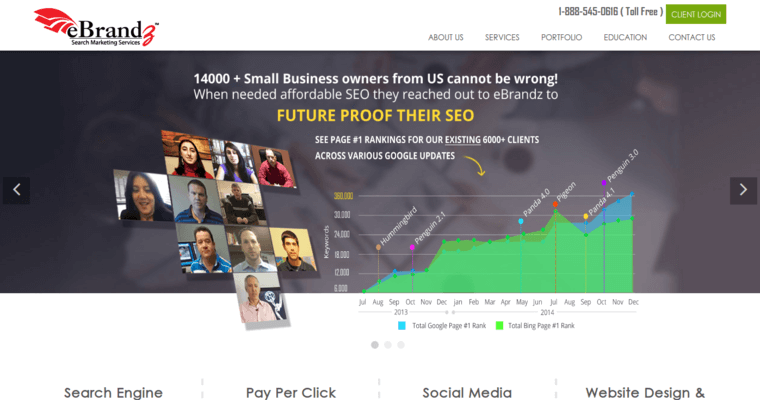 eBrandz employs a number of computer geniuses that can also create links on other websites to get higher rankings on search engine requests through what is known as link building.